General Dynamics Electric Boat will undertake development studies and other work related to Virginia-class submarine design improvements, according to company's press release. WASHINGTON (Sputnik) — The US Navy has awarded a $102.8 million contract modification to provide research and development and shipyard services for Virginia-class nuclear-powered attack submarines, General Dynamics Electric Boat announced in a news release on Wednesday. "Under the contract, Electric Boat will undertake development studies and other work related to Virginia-class submarine design improvements," the release said. "Electric Boat will perform research and development work required to evaluate new technology to be inserted in newly built Virginia-class ships." The modification brings the cumulative value of the Virginia-class submarine contract, initially awarded in 2010, to $1.1 billion, according to the release. 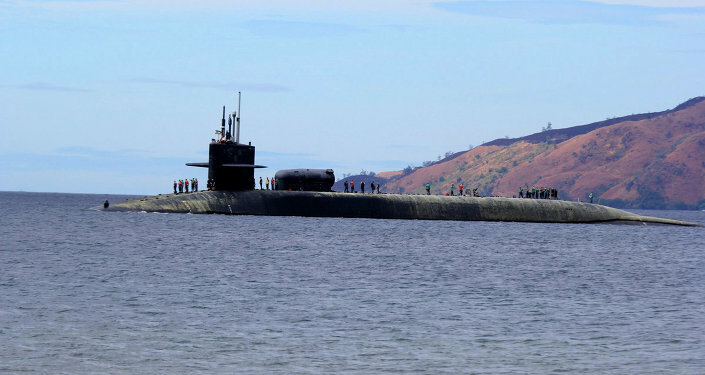 The US Navy commissioned the Virginia-class nuclear-powered, fast attack submarines in order to replace its older Los Angeles-class attack subs. The Virginia-class submarines will be constructed through 2043, and are expected to remain in service past 2060.